Rotel, Crater Lake National Park, Oregon, 1966. Okay, Okay, this is billed as a railroad blog, but this is such an interesting vehicle, and one I am sure you’ve never seen, I thought I’d share it with you. Whilst on a camping vacation at Crater Lake, (actually our honeymoon trip, I was still in the USAF) we tripped over this vehicle in the Lodge Parking lot. What is really neat is how this thing unfolds in the rear, exposing its kitchen cooking facilities, sorta like a chuck wagon! 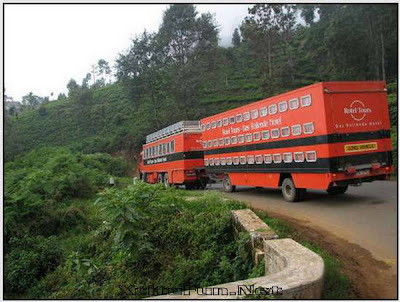 It is a totally self-contained hotel on wheels. 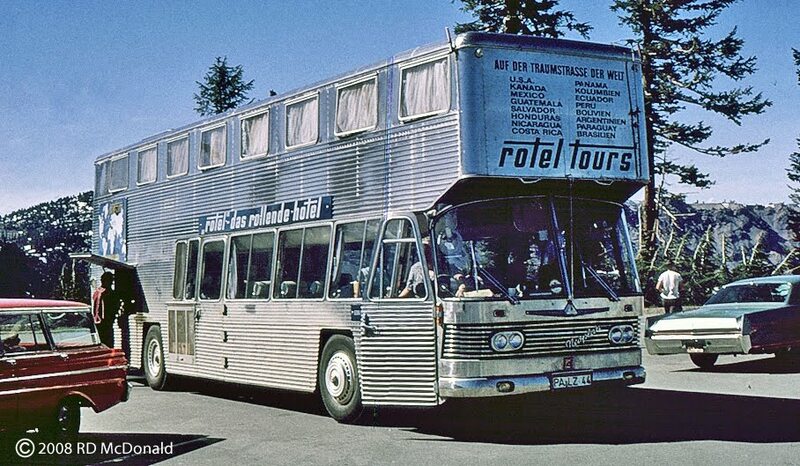 This unit I captured at Crater Lake in 1966, carried 16 passengers, a self contained kitchen used to prepare two hot meals per day, and individual roomettes overhead! As I recall, this vehicle, with foreign plates, was based on a Mercedes chassis. The company is based in Germany, and has touring vehicles including hi-chassis four wheel drive units, on all continents. It is difficult to find out information about this company. They do not advertise in the USA because they don't want to compete against American tour companies. An ethics lesson here? Takes "leave the driving to us!" to a new level. Here is a story of the Rolling Hotel or Rotel and a fascinating account of travel aboard the ultimate recreational vehicle, including many photos of unit! Check out this unit, on tour in India. Full bus with a three deck dormitory trailer! Sleeping cubicals are 3 feet high. 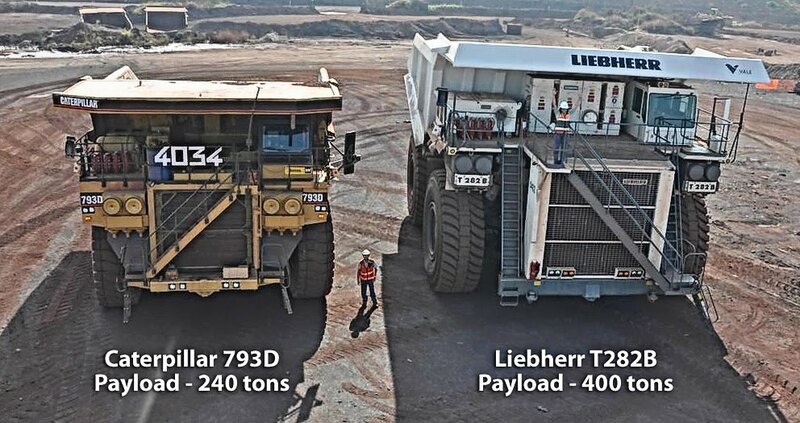 Wonder how many miles-per-gallon these beasts consume! "A Whale" had taken on a full load of iron ore from Vale's Ponta da Madeira Marine terminal, and set a course for China via the Singapore Strait. Clearing Brazilian waters on August 29th. The last GPS plot found her rounding Cape Agulhas. 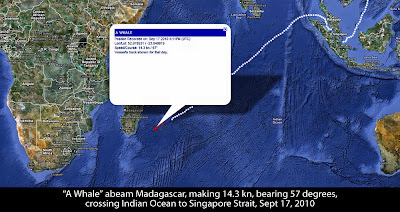 It has taken "A Whale" two weeks to cross the South Atlantic, and enter the Indian Ocean. Our interest in the "A Whale" grew out of her short-lived notoriety as an "oil super skimmer" destined to save the Gulf of Mexico, following the Deepwater Horizon incident. I grew curious as to what happened to her when she quietly disappeared from the headlines. To justify spending time on a tanker, when this is billed as a rail blog, I searched for some reason to keep her in my blog. 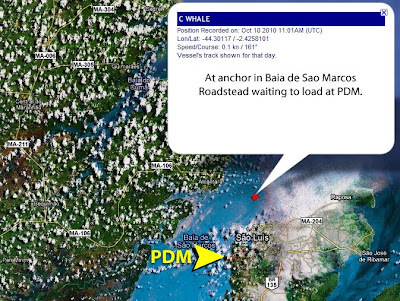 I found it when I discovered that after she left the Gulf of Mexico, she went to Sao Luis, Brazil. 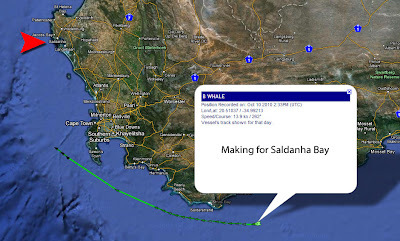 The "A Whale" was in Brazil to load iron ore. Where the ore came from, and how it got to tidewater, is the substance of "A Whale: The Rail Connection." 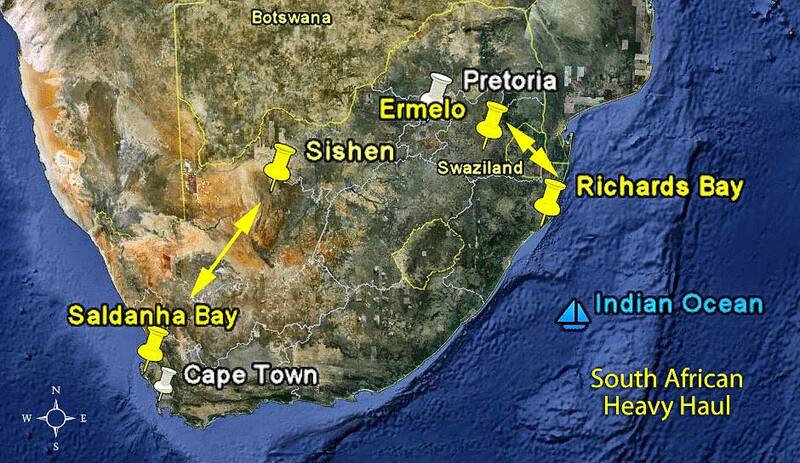 In this concluding installment, we'll take a close up look at the movement of iron ore to tidewater. 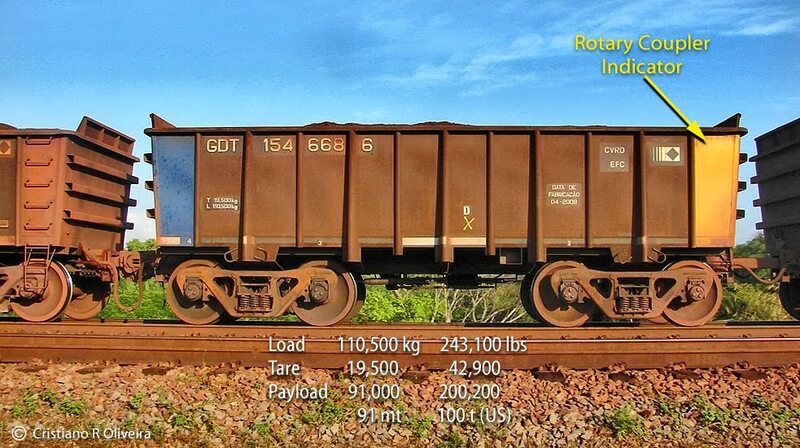 Speaking of close up, how close would you be willing to get to a 330 wagon (car) ore train - one that is moving? 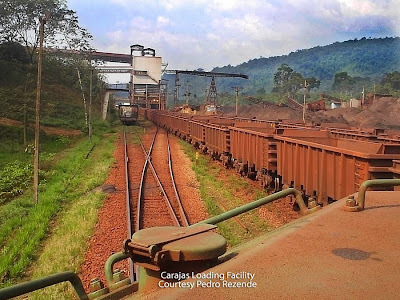 Connecting the "A Whale" to the iron ore is the Estrada de Ferro Carajas Railroad, a broad gauge railroad, variously referred to as the Carajás Railroad or EFC. 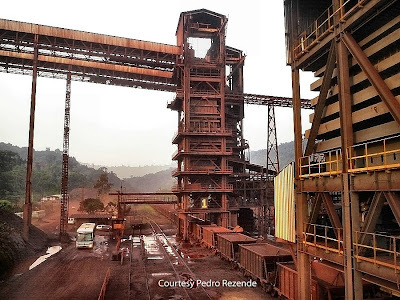 Mining and resource giant, Companhia Vale do Rio Doce (CVRD), was awarded a concession, Decree Number 77-608, to build a railroad "for the purpose of transporting iron ore from the newly proved Carajás Iron Ore Mine complex 892 km (554 miles) to Sao Luis - the Port of Ponta da Madeira." 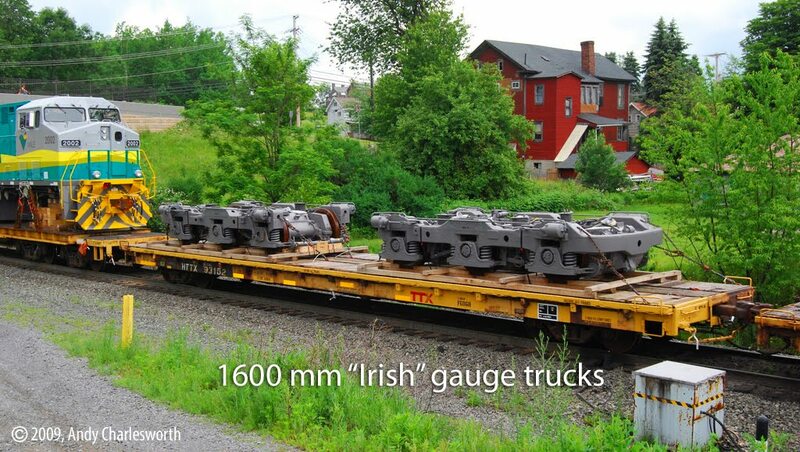 For a variety of technical reasons involving axle -loading capacity and characteristics, the EFC based its designed on the Irish 1600 mm - 5' 3" track gauge. 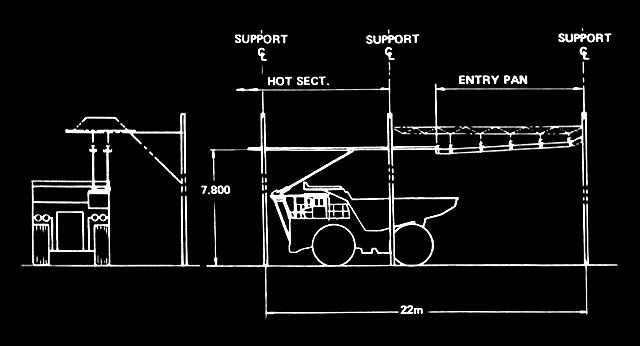 1982 - EFC construction begins. 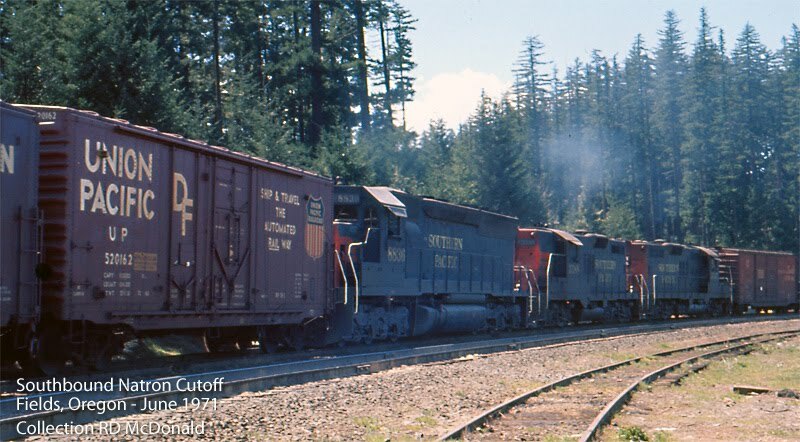 1983 - First freight train. 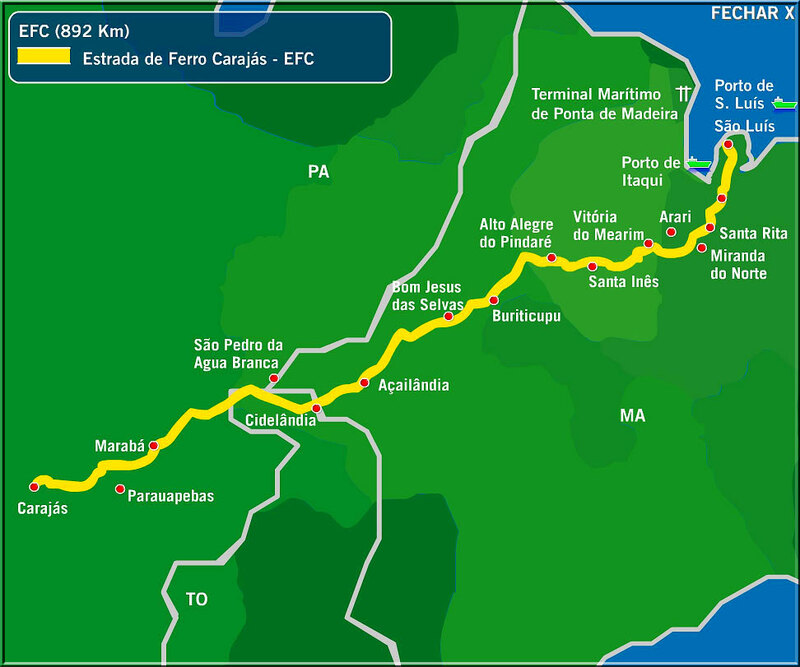 1985 - February 28, EFC officially opened by president João Baptista Figueiredo with the first ore train coming into operation. 1986 - March 24, passenger service begins, between Sao Luis and Parauapebas. 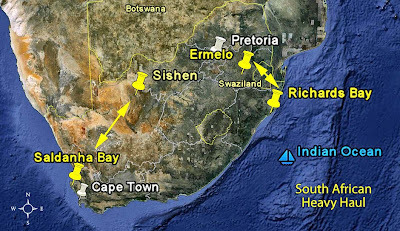 The EFC mine-to-tidewater qualifies as a "Heavy Haul corridor." 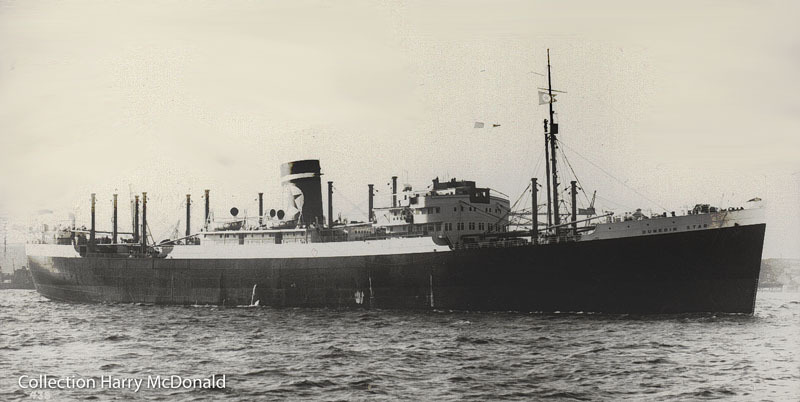 CVDR was renamed Vale (pronounced "valley") and quickly became a card carrying member of the International Heavy Haul Association (IHHA). 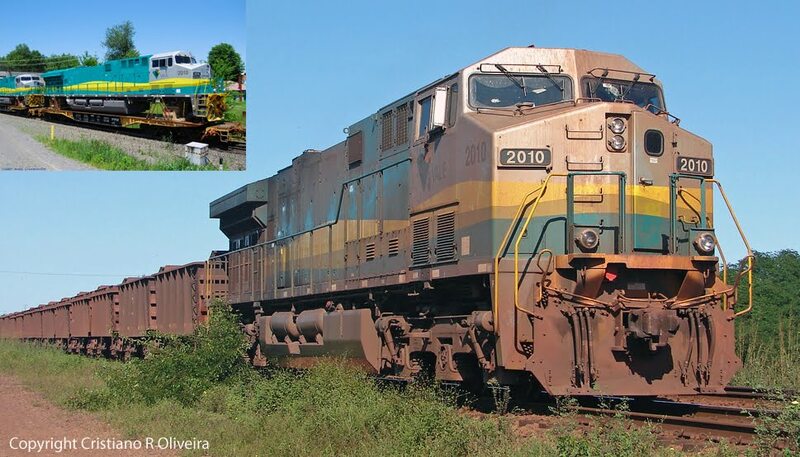 Vale operates another line in Brazil also qualified as a Heavy Haul corridor, the narrow gauge 1000mm (3' 3.35") Estrada de Ferro Vitória-Minas (EFVM), which runs from Minas Gerais to Vitória. Regular operation of trains of at least 5000 tonnes gross mass. The Carajas Railroad (EFC) meets and exceeds criteria as a bona fide Heavy Haul corridor! Regularly scheduled trains of at least 42,300 gross tons. In fact, up to 24 trains per day! 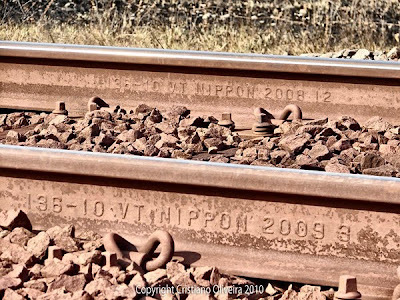 In 2009, the railroad carried a total of 85.04 billion ntk* of iron ore and other cargo, 3.11 billion ntk of which was cargo for customers, including iron ore for Brazilian customers over a length of 892 km(554 miles). And, while not an IHHA criteria, EFC carried 342,665 passengers in 2009. 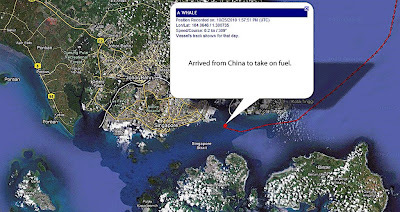 * ntk is net tonne-kilometers. A measure of the weight of freight transported multiplied by the distance traveled. Also known as the freight task. ** axle loading The axle load is the fraction of total vehicle weight resting on a given axle. Exceeding the maximum rated axle load will cause damage to the rail tracks. Adding to a massive fleet of haul trucks, extracting iron ore from the open pit mine, Vale in 2009, added two of the largest haul trucks in the world. 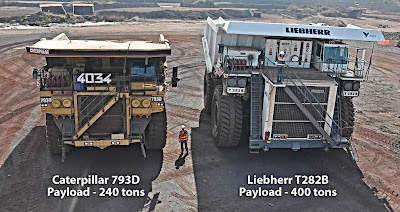 The Liebher T282B. Each costing a cool $3.5M. rotary car dumpers and unloading loop at Ponta da Madeira (PMD). The locomotive engineer, following instructions of the silo operator, operates the train through the load out loop. 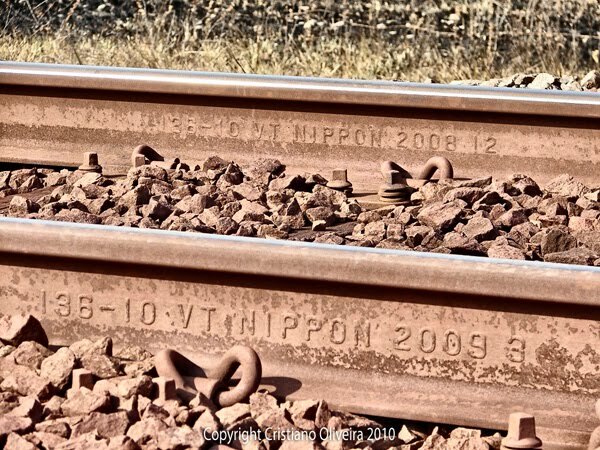 Direction of travel is always set up so that drawbar pull is exerted on loaded cars on the straight leg of the wye, to reduce the occurrence of a "string line" derailment. 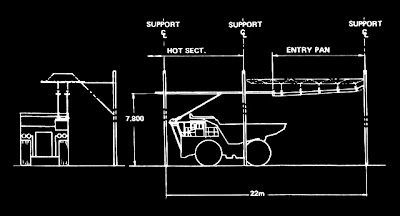 Target axle loading computed, a "charge" of ore drops from a bin inside the silo, to double batch bins, containing the charges needed to meet target axle load for the individual car. This video clip shows Vale 2009 running under the loading silo to begin loading her train. (Video by decioczt) This process works well at organized load outs. However, in rough and tumble wildcat operations, car loading is not high tech! At Souza Noschese, front-end loaders load manganese and serpentinite ore. 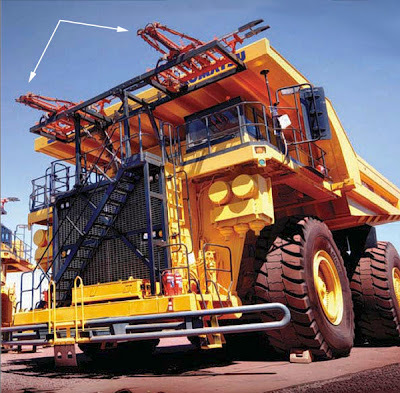 In an operation like this, accurate weighing of the finished load is essential for safety. (Video by ltperfetti). 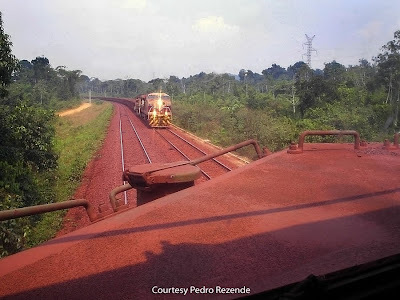 In 2009, EFC's fleet consisted of 226 locomotives and 12,627 wagons. 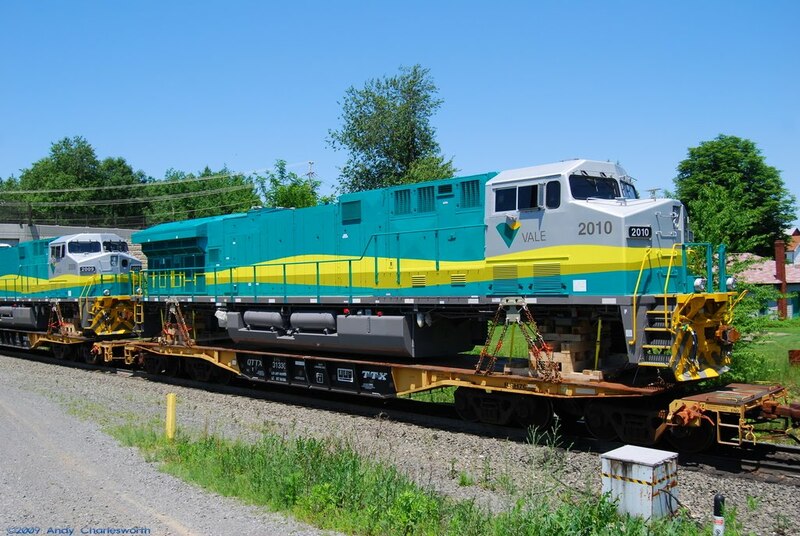 In 2009, Vale took delivery the first of an order of General Electric locomotives manufactured in Erie. Pennsylvania. Through a stroke of good luck, I pieced together photographs tracing their delivery to Brazil. The initial order of ten units, designated by Vale as the 20-hundred series locomotives are model GE ES58ACi. Andy Charlesworth of Altoona, Pennsylvania, captured the movement via the Norfolk Southern. Here Vale 2003 is moving through Gallitzin, Pennsylvania in June 2009, enroute to Norfolk Virginia for shipment to Brazil. Remember, the EFC is Irish gauge 1600 mm, so trucks are shipped separately. Cristiano Oliveira captured the 2003 and her sisters landing at Sao Luis in August 2009. Vale uses General Electrics Locomotive Control (LOCOTROL) for operation of Distributed Power Unit (DPU) trains, and Alstrom's Communication Based Train Control (CBTC), a permutation of Positive Train Control (PTC) for over the road control. Back in the "good old days" helper units were manned, and assisting trains was a by-the-seat-of-you-pants operation. Literally. Engineers had to develop a "feel" through the couplers of when to apply power. With the advent of radio communication, fewer draft gear's were broken and helper service became smoother. 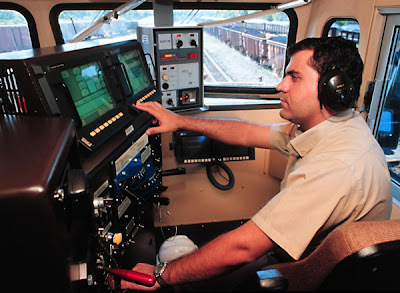 With LOCOTROL, the engineer is out of the equation, monitoring a computer based helper locomotive(s) with greater precision, and no additional crew to man the helpers. 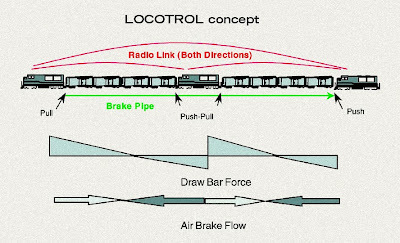 LOCOTROL uses a radio link to provide remote control of up to four remote locomotives. 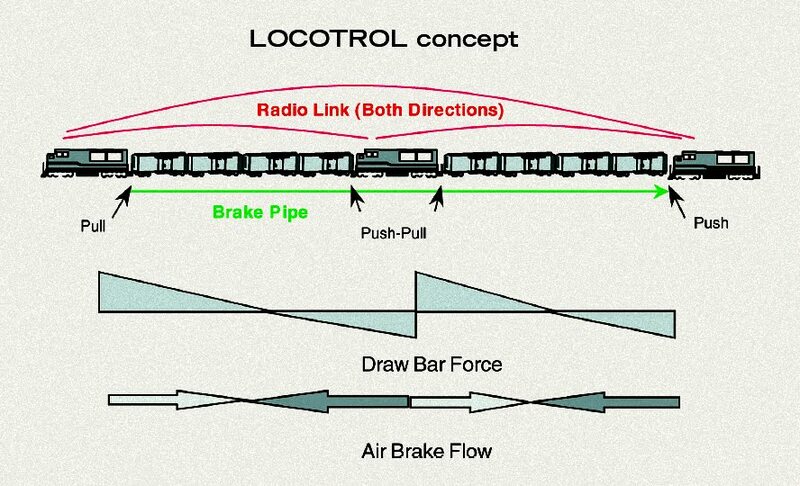 The brake pipe is used as a back-up communication link to allow the remote locomotives to idle down and to enable the train brakes to stop the train even without RF communication. 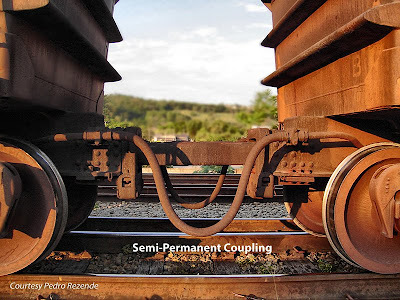 With drawbar forces greatly reduced and air flow supplied by all locomotives, braking performance improves significantly. On EFC, Dash 8 (C40-8), SD40-2, and C36-7B and are not assigned as lead units on DPU consists, since they lack Locotrol systems. While some C36-7B are equipped with Locotrol system, they lack adhesion (tractive effort) to command DPU trains. 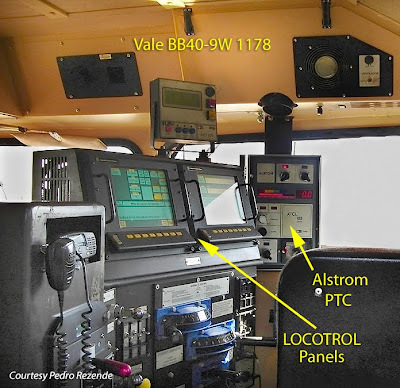 This document, published by Canadian Pacific, will help you understand the complexity of this multiple unit control system, routinely used on the EFC. 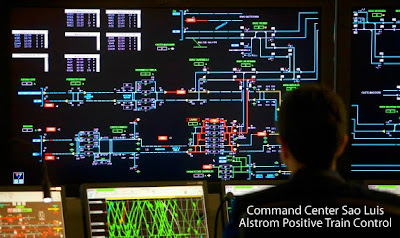 POSITIVE TRAIN CONTROL While power packs are controlled by GE, Positive Train Control is provided by Alstrom. Dynamic Helper. Vale is the first company in Brazil to develop a "dynamic helper," an auxiliary locomotive that couples with a moving train in order to help it move up a steep section of track. 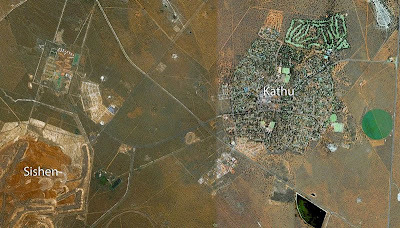 There are two "helper" districts on the EFC. The Dynamic Helper waits for the train to arrive on a siding beside the main track. Once the train has gone past, the helper "chases" it along the main track, they synchronize their speeds and then couple whilst in motion. The train and helper to come together, with couplings aligned using a laser system. The operation takes place automatically, with the driver monitoring it rather than performing it manually. Helper sets connect and disconnect on the fly, without slowing the main train. 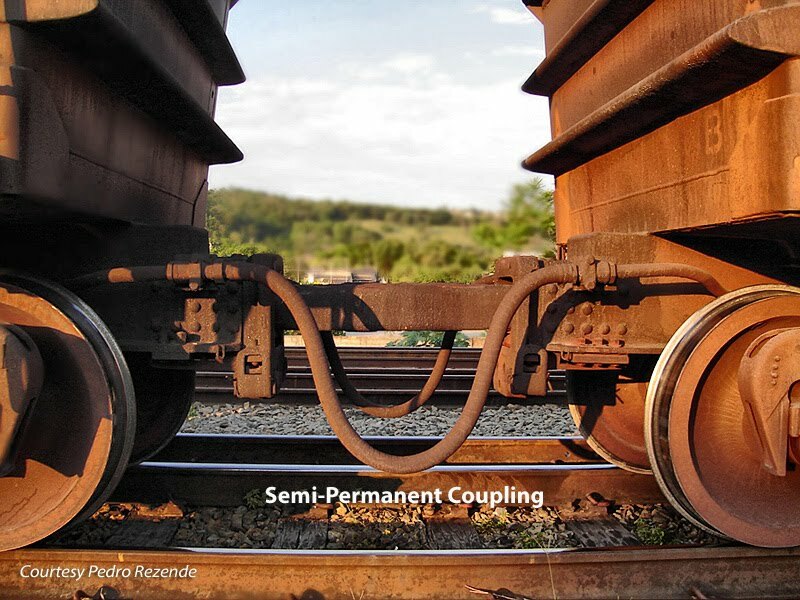 Using this technology will cut fuel consumption by up to five percent, given that trains use the most fuel when they stop, brake, and restart. 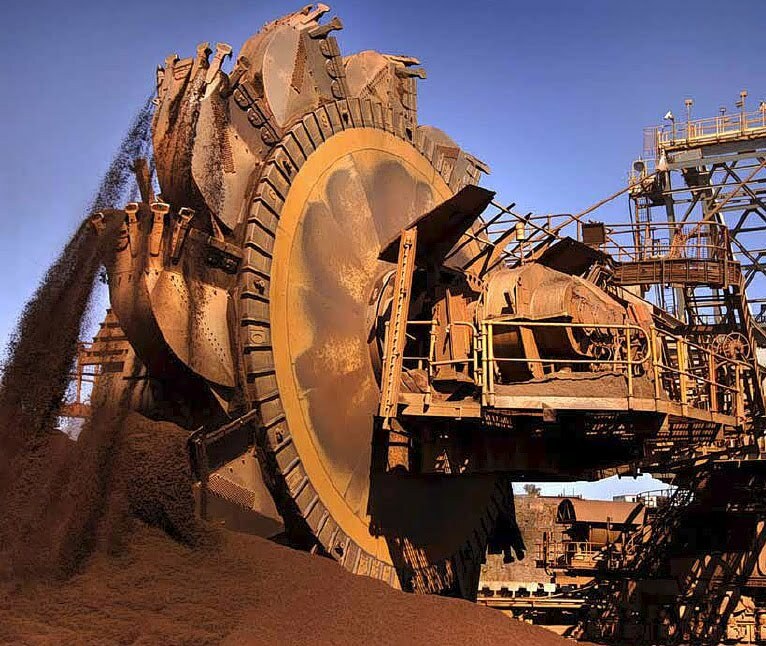 EF Carajas use GDT ore cars, with a capacity up to 130,000 kg (130 mt) by 31.5 tonnes per axle. 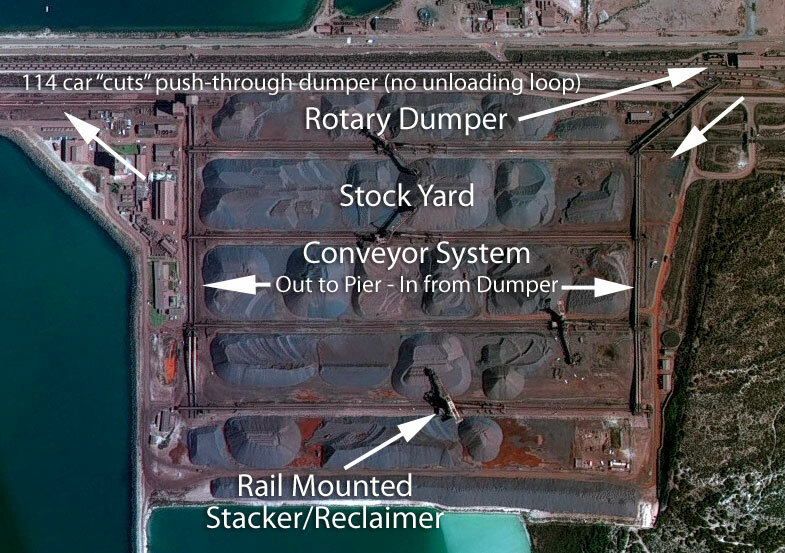 At the PDM unloading loop, three rotary dumpers are set up to one or two cars, and are being modified to unload a three car set, with a corresponding increase in productivity. The video suffers from wind noise, so turn your sound down. Magnificent view from the cab shows you just how long a 330 wagon (car) heavy haul train is (at 2:50.) 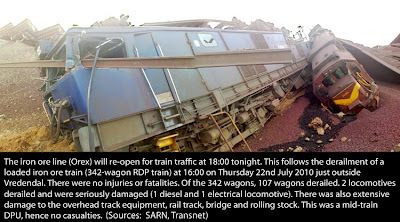 This "ramp" or grade is one of two on the EFC on which dynamic helpers assist. EFC does not have sever gradients. 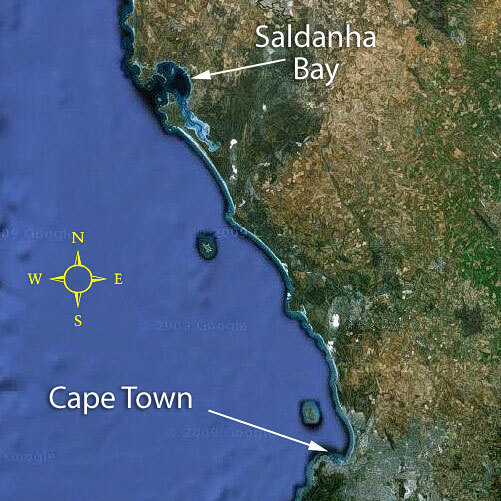 The mine load-out, 500 miles inland, is at 2,000 feet. While ore trains are the priority on the EFC, agricultural products as well as general freight travels the 500 mile line connecting about two dozen community and towns to tidewater. And in the rainy season, the three times a week passenger service is the only reliable mode of transportation for residents along the line. 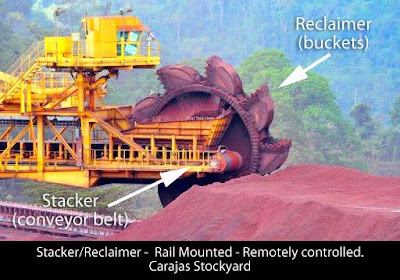 Train Type I Iron Ore Train: Plus Dynamic Helper as required. Total: 4 locomotives and 330 wagons. Total: 3 locomotives and 334 wagons. 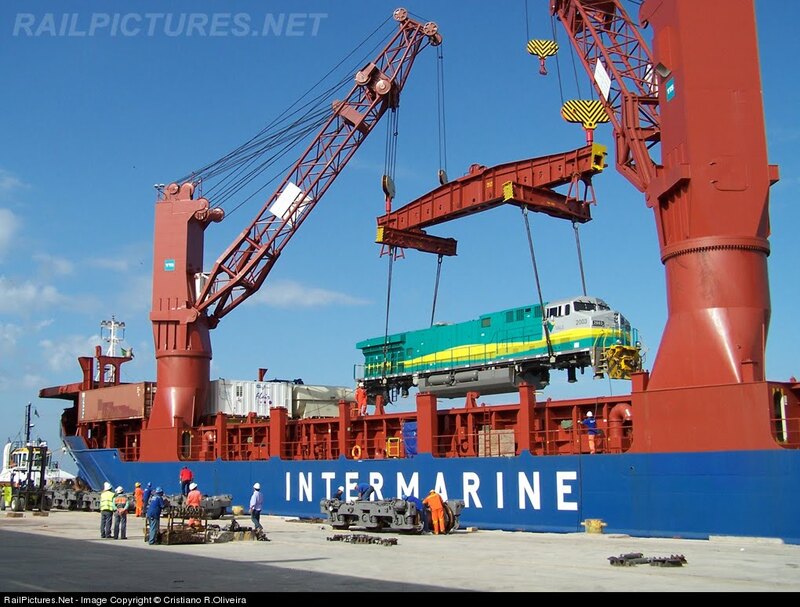 Total: 2 locomotives and 80 wagons. Passenger Train. The passenger train began operating in 1986, transporting people, luggage, and parcels. Today, it carries 1,300 people per day and serves 23 municipalities in Maranhão and Pará, among them St. Louis, St. Agnes, Açailândia, Maraba and Parauapebas. The passenger train has coach and business classes, and a diner car - in low season - two cars and snack bars - in high season. In the consist, there is a car exclusively for people with special needs. The car has two wings: one for wheelchair users and one for caregivers and persons with reduced mobility. Both have air conditioning and television. An excellent choice for all people, since the rates are 50% cheaper than road transport. 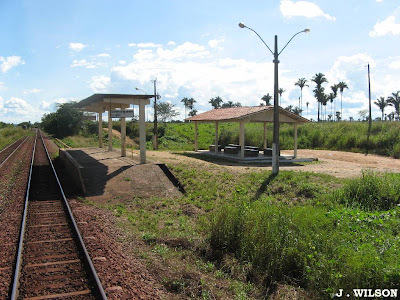 During the rainy season in some localities, the passenger train is the only means of transport. It runs every other day, stopping on Wednesdays for maintenance. 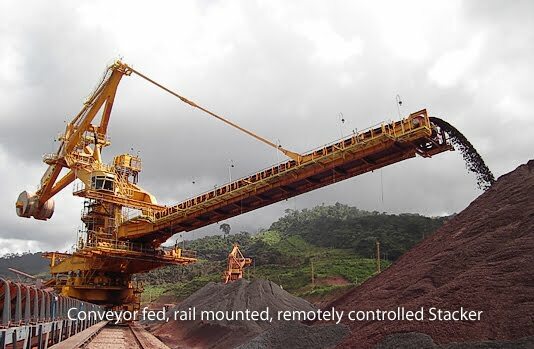 There have been intense studies conducted to determine stresses placed on bridge structures by the weight and movement of heavy haul ore trains. 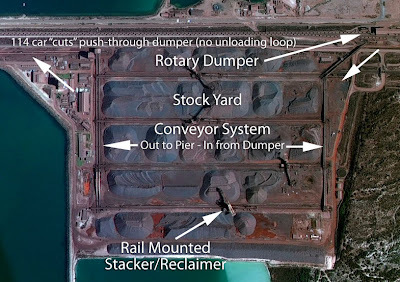 PMD has a massive unloading loop and longitudinal stockpile to handle incoming trains. 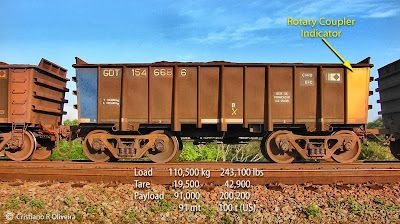 Three side by side rotary dumpers have the capacity to rotate two cars at a time, increasing the speed of unloading long unit trains. Rotarys are being modified to rotate 3 cars at a time! Iron ore is moved along a complex series of conveyor belts to individual shiploaders. 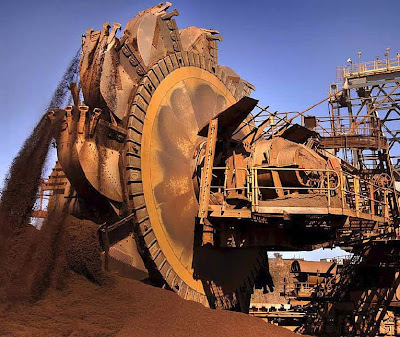 All of this is done from the air conditioned comfort of a master control room, handling the stacker/reclaimers and conveyor systems. 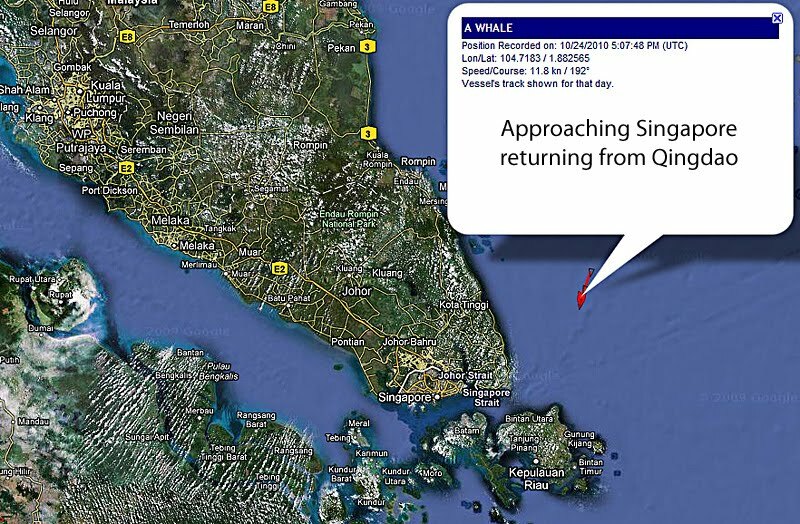 With the need to increase speed of rotating vessels through the facility getting them back to sea quickly, stresses set up on a vessel have become painfully apparent. 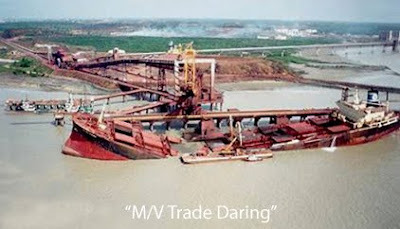 The first indication of trouble was with the "Trade Daring" Incident at PMD in November, 1994. 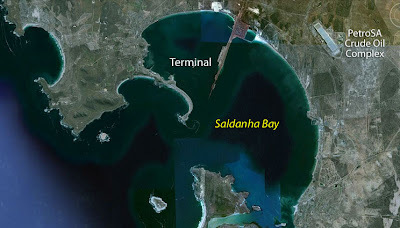 As the ship was being loaded, her back was broken and she sank at Pier 1. As you can imagine, this is catastrophic. This shut the port down, backing everything up, from ships awaiting unloading to shipments by rail from the mine. This vessel was aging, and could not absorb the weight pouring into her hold at a high rate of speed. 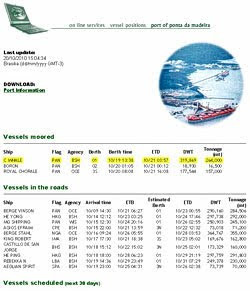 Indeed, the loading of a vessel is a science unto itself, which you can read about in this document. 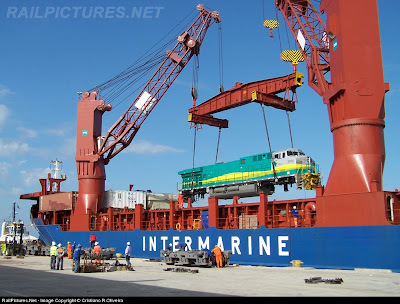 Suffice to say, through vetting of a vessel is mandatory for all vessels before coming alongside PDM terminal. 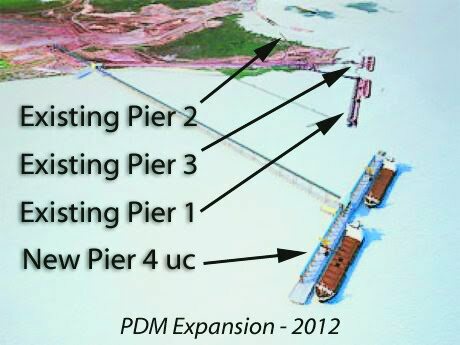 Demands for increased speed has resulted in the Pier 1 shiploader being upgraded from 16,000 to 20,000 mt/hr. 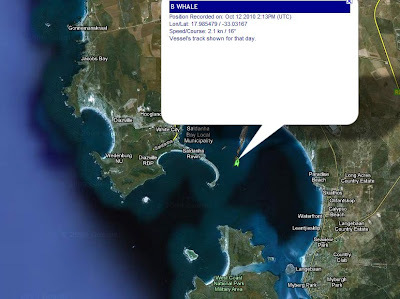 The "A Whale" loaded 310,000 mt in approximately 20 hours, and pulled away from the facility even as her hatches are being secured. That's how intense this operation is. 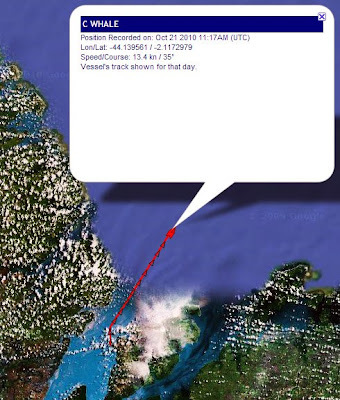 With more than a dozen vessels waiting to load at any given time, each costing their owners $50 to $70k per day in overhead expenses, speed is of the essence. To lessen the bottleneck at ship loading, and meet projected demands, Vale started construction of Pier 4, which is due to be completed and on line in 2012, allowing two more vessels to be loaded. This, as vessel capacity is moving to 400,000 dead weight tons capacity. 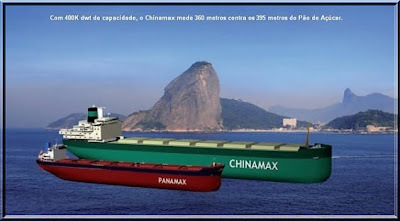 In fact, Vale has inked a contract to purchase 12 - 400,000 DWT vessel, prompting improvements both at PDM and China, where her "Chinamax" vessels, more recently dubbed "Valemax," will be initially dispatched. A massive new terminal is being constructed in Qingdao, China, as seen in this construction photo. 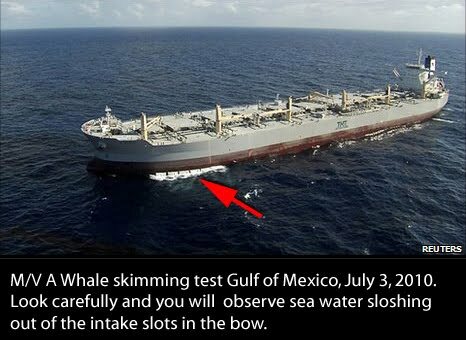 This narrative began with the story of the 15 minutes of glory enjoyed by the "A Whale" on the Gulf of Mexico back in July. This lead to her two sisters, the "B Whale" and "C Whale," three Very Large Oil/Ore Carriers, VLOO's, and an assurance to link each to a Heavy Haul iron ore railroad. 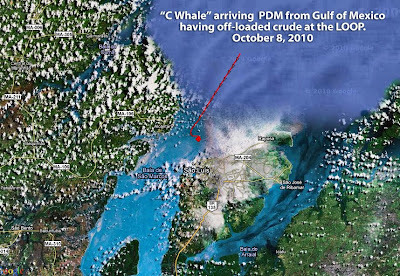 Even as I put the wraps on this article, I received a GPS report, announcing the "C Whale" has arrived at PDM, after unloading crude oil at the Louisiana Offshore Oil Platform just off shore from Port Fourchon, the "E Port." You will recall Port Fourchon's role in the Deepwater Horizon disaster, along with "Joe Griffin and the Magic Box." From Vale's Daily Vessel Position Report we see that the "A Whale's" sister, "C Whale" arrived on Friday, October 8th, and is at anchor in the Baia de Sao Marcos Roadstead. 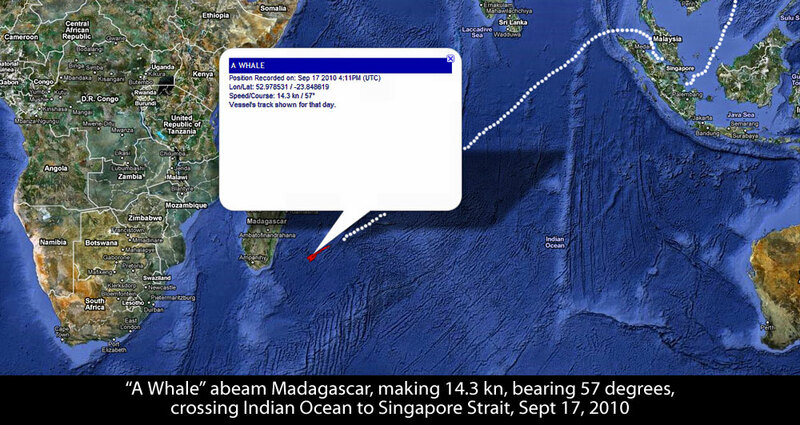 The report indicates (ETB - Estimated To Berth) she will be moored at Pier 1 at 23:53 hours on the 17th. Notice the precision time indicated. She is ETD - Estimated To Depart Pier 1 at 15:01 hours on Tuesday the 19th. 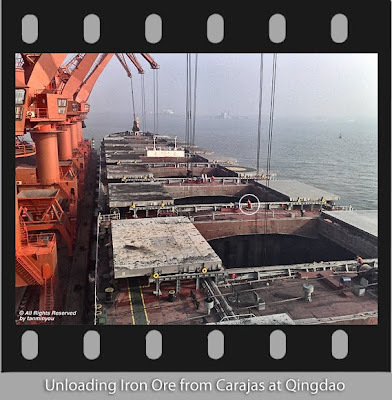 "C Whale" will load 320,000 mt of ore, (far right hand column,) at Pier 1, which can accommodate vessels up to 420,000 DWT, with PDM's fastest shiploader, rated at 16,000 mt per hour. Put a pencil to it, and you will discover that the "C Whale", like the "A Whale" will ingest the contents of almost nine 42,000 mt unit trains. 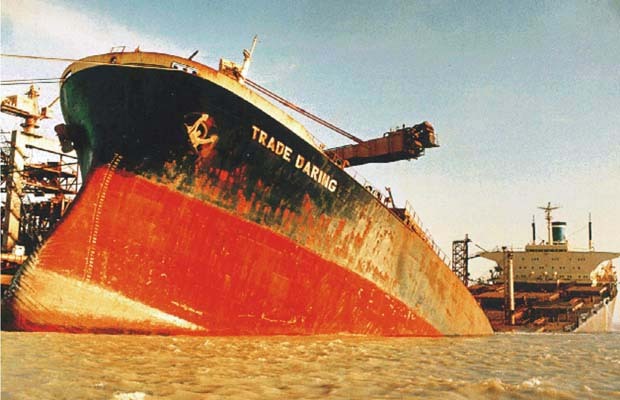 Take the list, and add the "Tonnage (mt.)" for all vessels. That is the actual amount of iron ore scheduled to be loaded on each vessel. 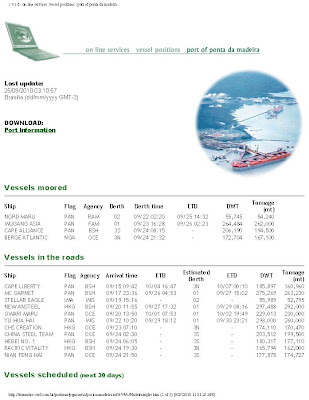 On page two of the Position Report, note the "Berge Stahl" (from Part III) is scheduled to load 355,000 tons! 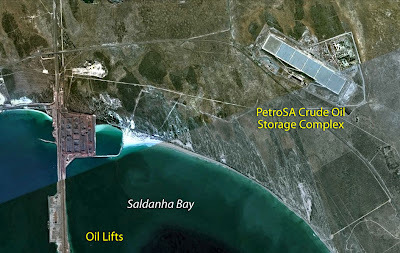 When you see the number of vessels lined up for loading, you begin to understand why a Heavy Hauler like the Estrada de Ferro Carajas has to be planned, managed, organized and controlled relentlessly to keep it fine tuned, able to meet stringent shipping demands, in a highly competitive market. 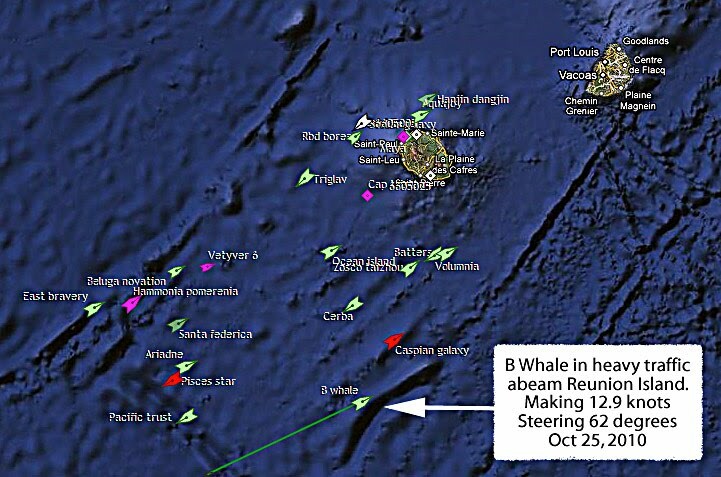 Each day those vessels sit at anchor, they are burning up $50K to $70K in overhead. So rotation through the Port is essential. 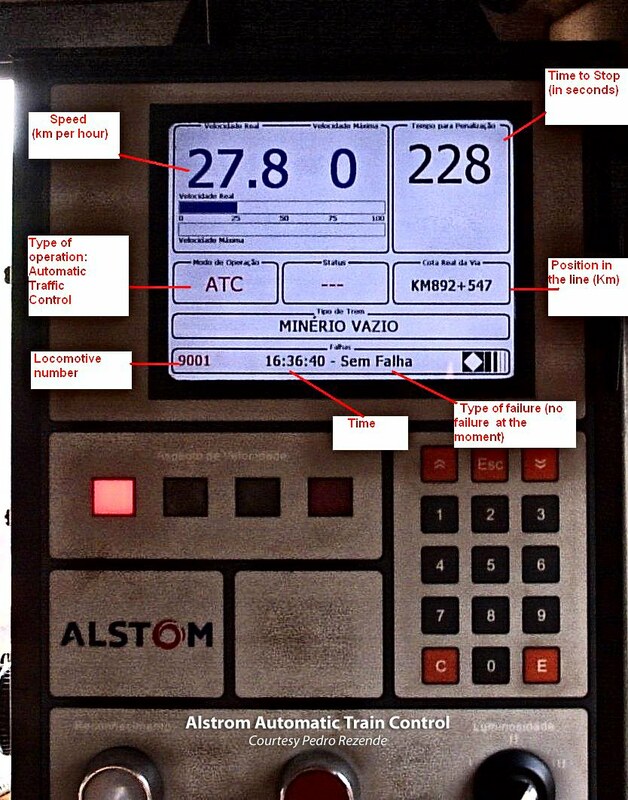 More than just a neat railroad to see big power pulling big trains on big steel, Vale's shipping report reflecting target times down to the minute for ship handling, illustrates the intensity of this business. 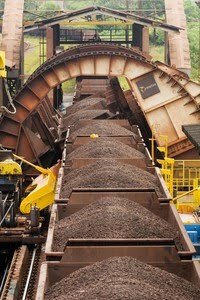 Each segment, from the mine to tidewater, is a finely tuned machine, right down to the selection and placement of railroad ballast. 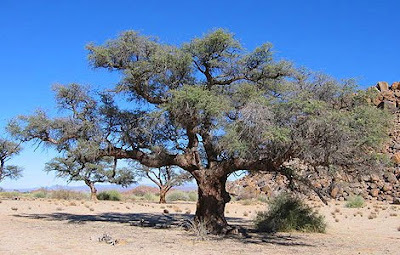 A Blog without visuals is a bore. Once a story is "roughed out," the process of visualizing begins. When appropriate photographs are located, I contact the owner of the visual seeking permission to incorporate the photo in the article. This story led to Andy Charlesworth in Pennsylvania, and Pedro Rezende and his friend Cristiano Oliveira, rail fans of EFC system in Brazil, who contributed their knowledge and videos and photographs, answering a blizzard of questions that made this article possible! Andy lives in Altoona, Pennsylvania, works for the prototype Norfolk Southern, and works in "N" scale modeling the ATSF/DRGW. 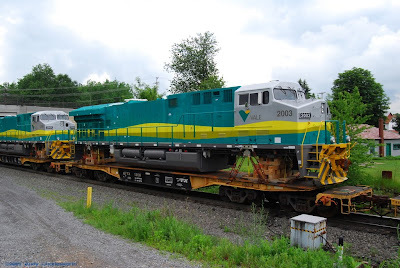 Andy generously provided his photographs of the freshly painted Vale units moving over the Norfolk Southern, from the General Electric Plant in Erie, Pennsylvania to Norfolk, Virginia, to be loaded aboard ship bound for Brazil. Andy has many excellent photo albums posted on Flicker! From Brazil, Cristiano Oliveira was very generous with technical detail, photographs and video clips. Greatly appreciated. Cristiano has a site at RR Picture Archives. This is a recent video from Cristiano featuring two SD-70M's (EFC 748+718) pickin 'em up and settin' 'em down at Bacabeira City, Maranhao. 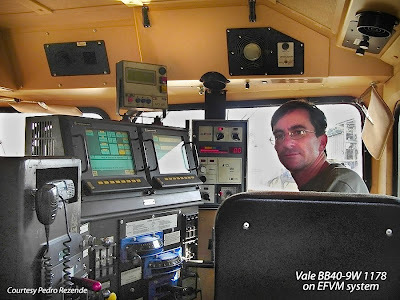 Pedro Rezende is a Master Sergeant in the Brazilian Air Force, and an historian and fan of Brazil's interesting mix of railroads. I "met" Pedro while tracking down the history of the EFC. When asked if he would act as "Technical Advisor"- reading copy and verifying facts - Pedro jumped right in without hesitation. Pedro demonstrated great patience responding to numerous questions! Pedro authors an interesting Blog, and has an impressive number of photos - more than 400 - posted at RailroadForums, with another collection at RailfanNet. A big "High Five" to "fernando1cunha" for the terrific cab rides. With Blogger only allowing clips up to 100 Mb, I had to forgo "MEGATREM" at 10:16. I can sense the pride Fernando takes in running those Heavy Hauls! Thank you, Fernando! 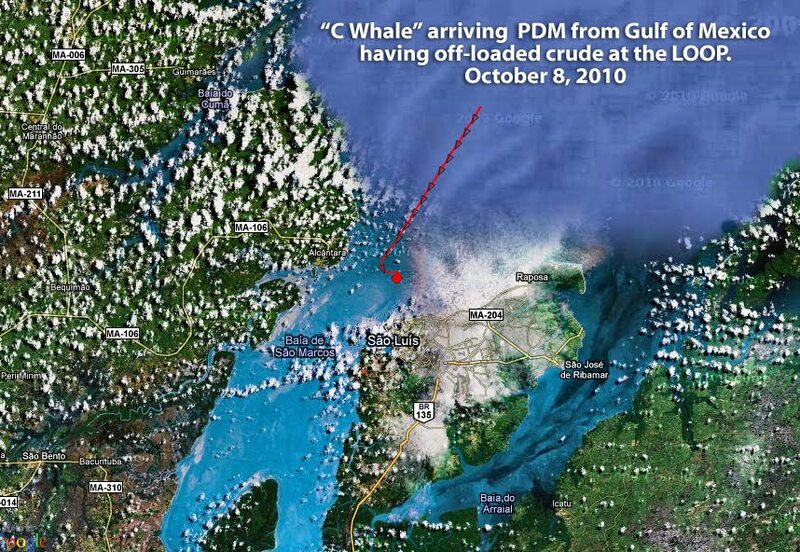 Finally, I appreciate the generosity of Captain Jacques Michell, Mississippi River Bar Pilot, who provided a truly memorable shot of the "A Whale" leaving the Gulf. 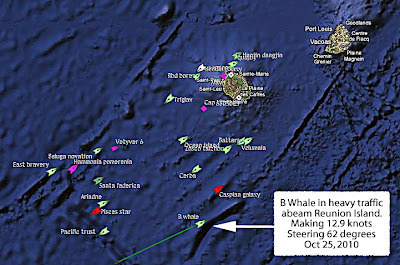 Previous installments of "A Whale: The Rail Connection"
"B Whale: The Rail Connection"